October 01, 2018, 9:48 a.m. In early September, sportswear brand Nike launched a major campaign to mark the 30th anniversary of its ‘Just Do It’ slogan. The advert features former San Francisco 49ers quarterback Colin Kaepernick (as well as others including tennis star Serena Williams). Kaepernick has been at the forefront of protests against perceived racial injustice in the US, though he became a divisive figure in the United States as a result. 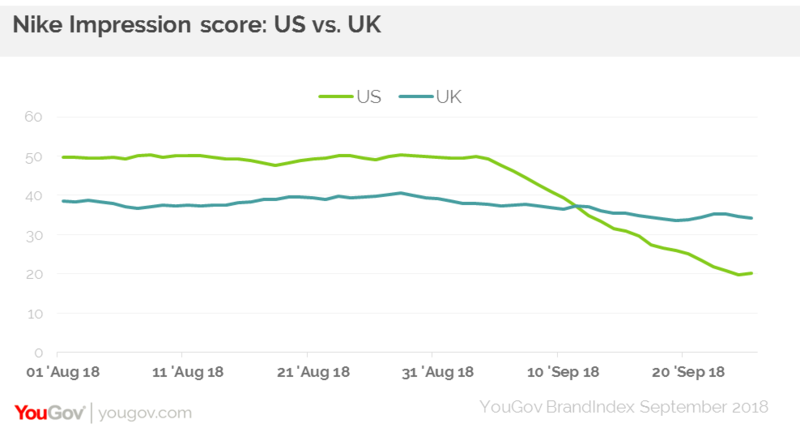 YouGov BrandIndex data indicates that in the US, among the general public Nike’s Ad Awareness score has grown from 33% to 46% since the Kaepernick advert was revealed. Here in the UK, there’s been a healthy level of uplift, with Nike’s score growing from 15% to 22%. While the campaign is undoubtedly divisive, it is one that has garnered attention that few brands are able to compete with. 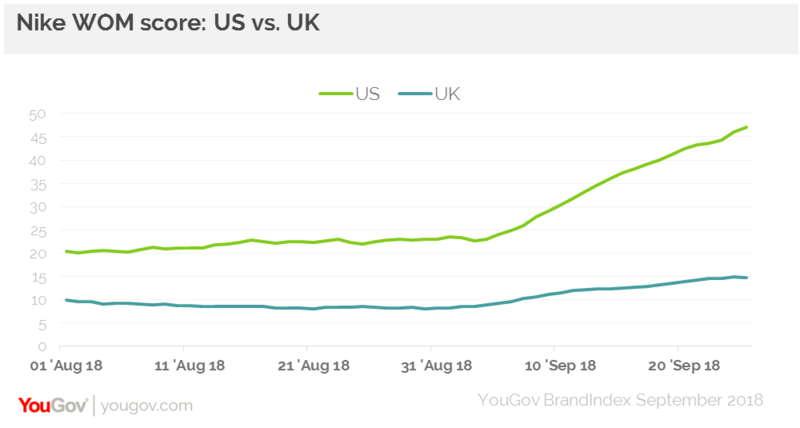 In the US, Nike’s attention score has rocketed from 28% to 52%, while its Word of Mouth Exposure score (whether you have talked about a brand with friends, family, etc.) has also risen significantly, up from 22% to 41%. Again it is a similar story here in Britain, with Nike’s Attention score shifting from 9% to 21%, while its WOM rating has moved from 9% to 14%. Notably, in America, Nike’s Impression score among the American public has dropped significantly. Naturally, the issues confronted by the advert are American in their focus, so perhaps it is no surprise the advert has produced such a strong reaction. Our data shows that Nike’s Impression score has decreased by 24 points, dropping from +50 to +26. The drop is particularly pronounced among those aged over 50+. Among this group Nike’s score has decreased from +44 to +3. In the UK, Nike’s Impression score has held relatively steady, with nowhere near the same level of movement (+38 to +34). The crucial point however, is that those that would consider shopping for Nike products have not changed their opinion of the brand. In the US, Nike’s Impression score among considerers has remained relatively resolute, and continues to stand around the +85 mark. Similarly, in the UK, its score has actually risen by a couple of points to +74. Importantly, our YouGov Profiles data shows that those who already shop with Nike are more likely than the average person to a positive impression of Kaepernick. The figures show that 47% of customers have a positive view of the quarterback, just 34% feel the same. In general, our data underlines the immediate impact that the campaign has had, with Nike generating attention that very few brands are able to match. Tellingly, Nike’s message has resonated with those in its key demographics. 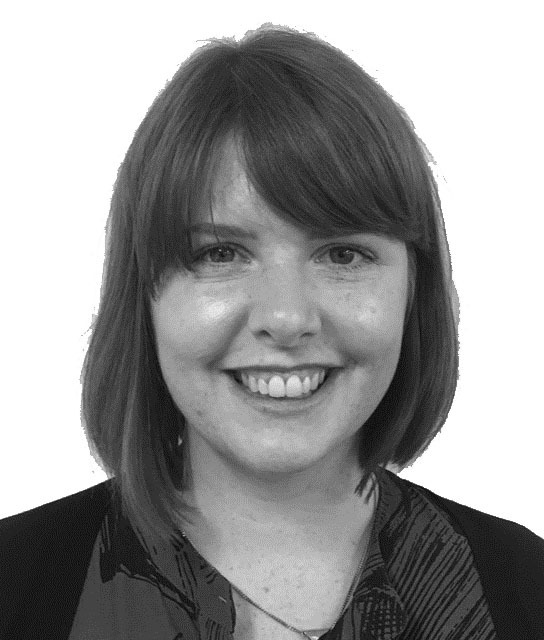 Our results suggest that Nike is successfully speaking to its target audience - the future of sportswear spend is this younger demographic, and that it is willing to antagonise older, more conservative people to ensure its message cuts through is very telling.